A proposed architectural rendering shows a vision of the Village at Wolf Creek. On Wednesday, developers gained initial approval for road access to U.S. Highway 160 for the project. 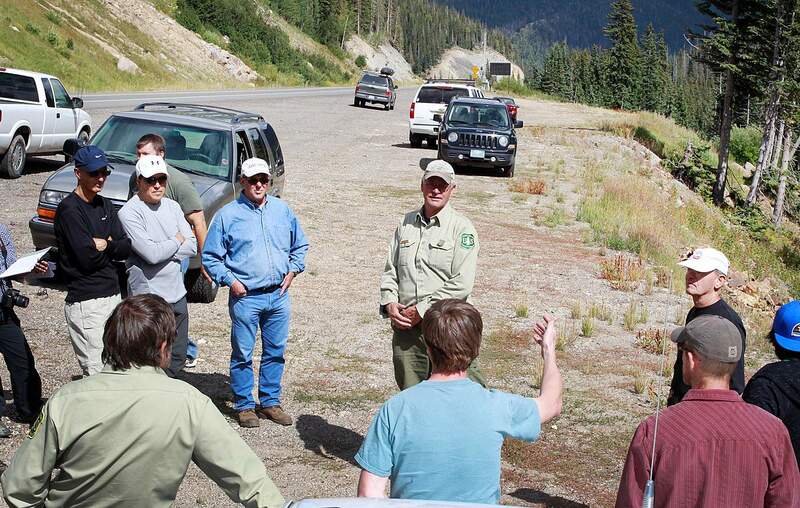 Rio Grande National Forest District Ranger Tom Malacek answers questions at the location where an intersection would be built on U.S. Highway 160 for the Village at Wolf Creek east of the Wolf Creek Ski Area. Dallas disagreed, saying the judge’s ruling took issue with some parts of the land swap in the EIS, not the entire EIS. “The previous environmental impact statement is still relevant, timely and sound,” he said. Calls to Leavell-McCombs Joint Venture were not returned Thursday evening. In January, however, the developers sent a letter to the Forest Service demanding road access, despite the federal court’s decision. 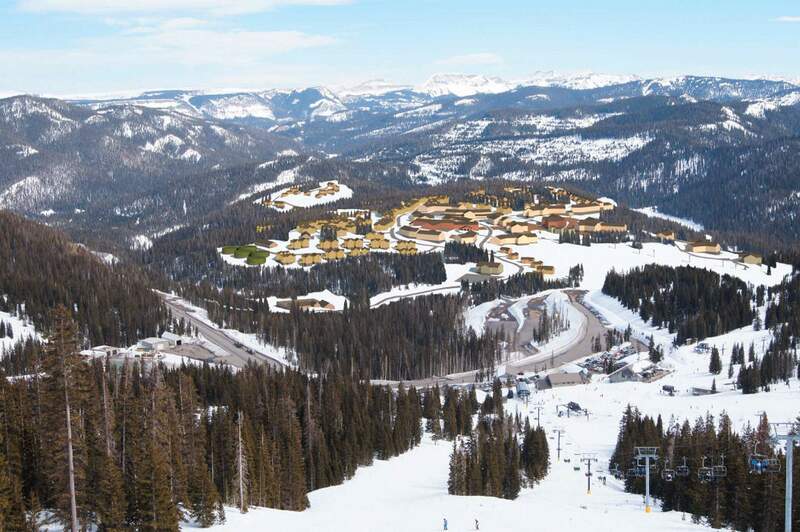 The public may comment for the next 45 days on the Forest Service’s proposed action to give the Village at Wolf Creek road access. After that time frame, the Forest Service will review comments and announce a final decision this fall.